Today begins a new feature on Tothfans.com. 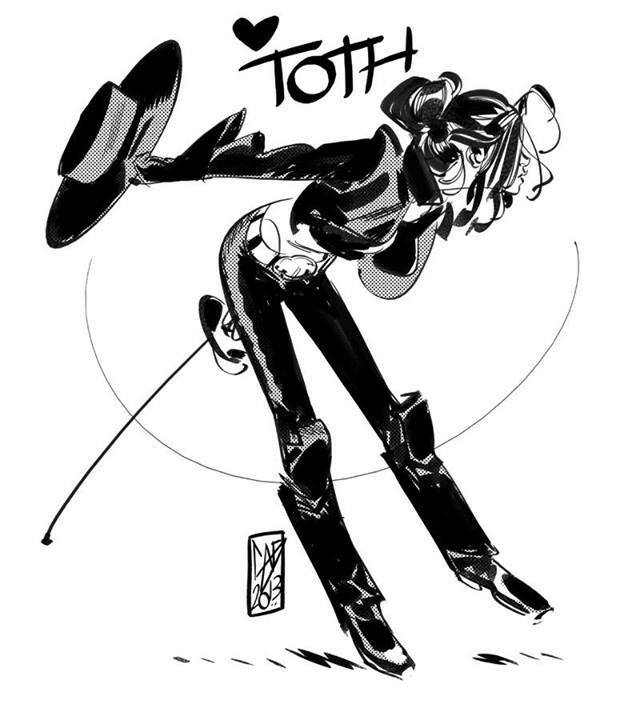 Simply put it is a weekly tribute created by Artists who admire and are influenced by Toth's art and work in some way. This feature is being brought to us courtesy of Paul Fricke who has been reaching out to many people kindly asking them to volunteer time from thier busy lives to produce and send along art for the tributes. 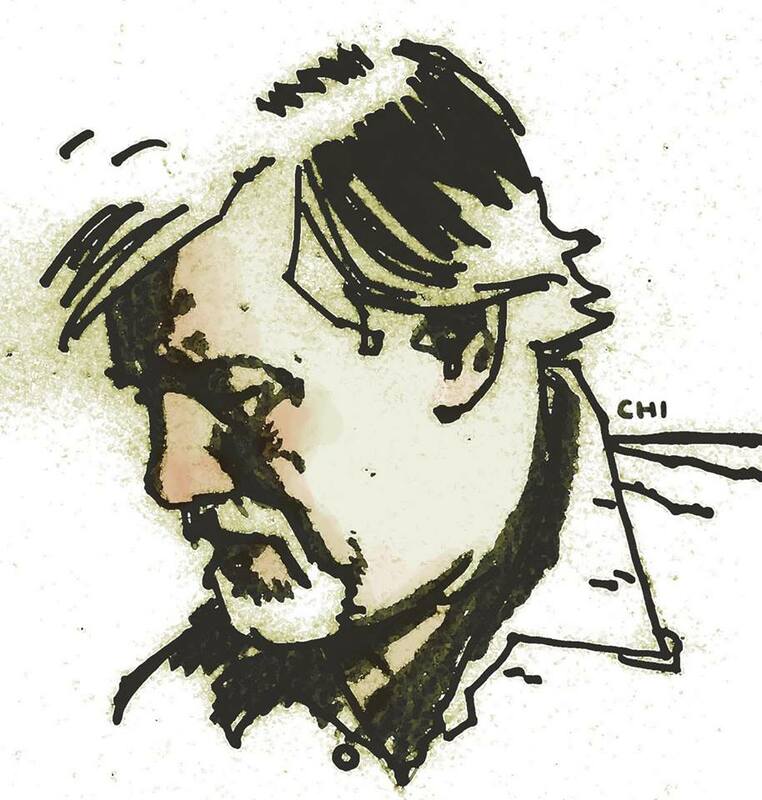 Kicking this off, we have an Alex Toth Portrait by Mark Chiarello (website / wiki page). 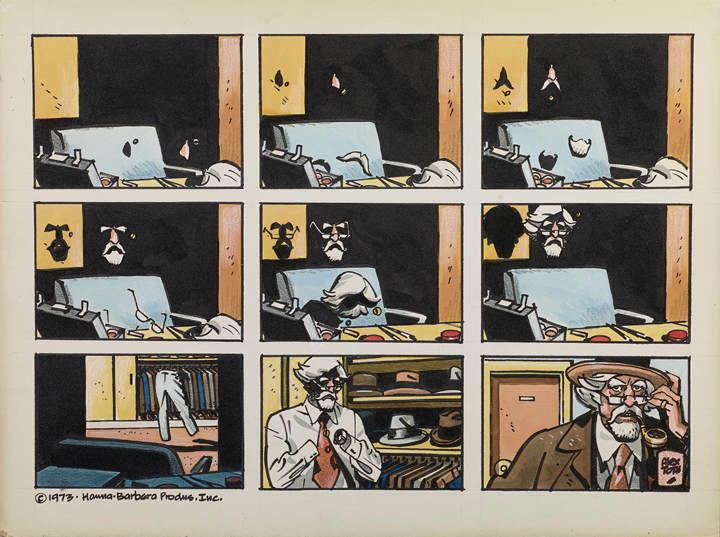 I just contacted Dean Mullaney to get a quick update on "Genius, Animated: The Cartoon Art of Alex Toth". 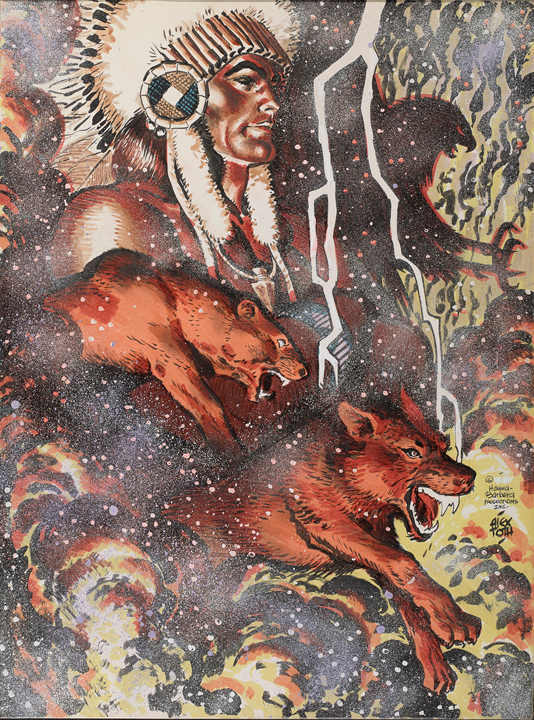 In an interview given by Tom Spurgeon back in late December 2013, Dean mentioned that Bruce Canwell had recently turned in the final manuscript and that the next step was to collect together all the art and lay it out into the final book. No small feat. Currently Dean is even re-working some layouts to including last minute submissions of more art. All this so the book can be the very best it can be. Here is the write up from IDW's website. "Featuring never-before-seen work from Toth, Genius, Animated unearths a trove of lost treasures from the Hanna-Barbera archives. From character designs to storyboards, Toth helped shape favorites likeSpace Ghost, Shazzan, and Super Friends. 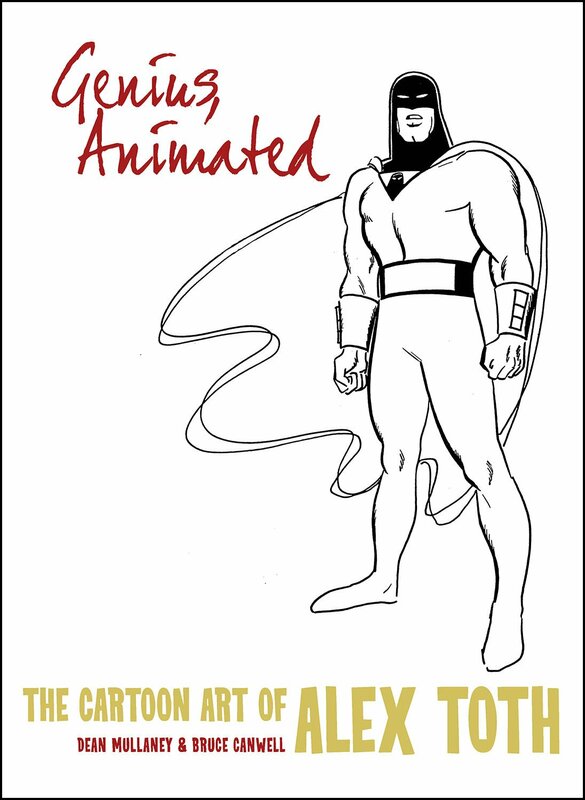 This oversized extensive look at his legacy is accompanied by commentary from Toth himself as well as insights and observations from professionals throughout the animation industry." "You can't overstate Alex Toth's influence on animation," says Dean Mullaney. "This book will stand as the definitive statement on his animation artwork." As with the other books in the Harvey award winning series, biography, the attention to detail, reproduction and choice of art will make it an excellent volume to wrap it all up. Soliciting now (Diamond order number FEB140355) for a May release. Archie comics Superhero brand Red Circle Comics recently brought back thier Superhero character "The Fox". 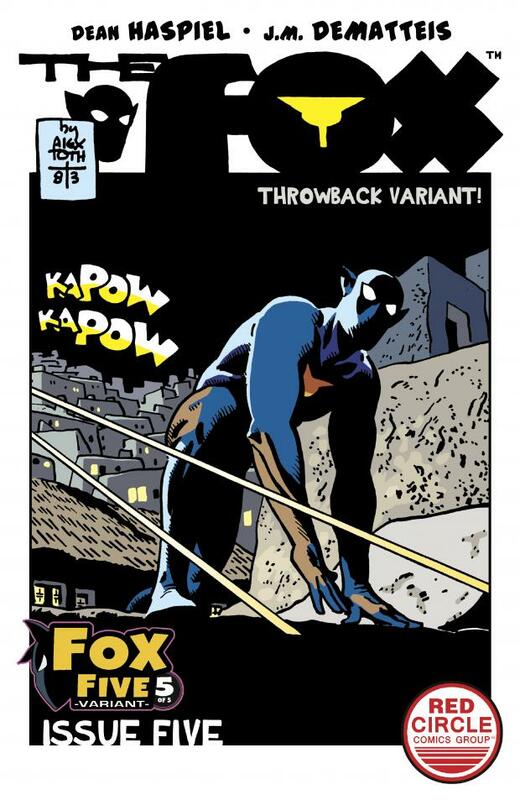 Issue #5 will feature, ""...FIVE different variant covers, including one by legendary Fox artist Alex Toth." 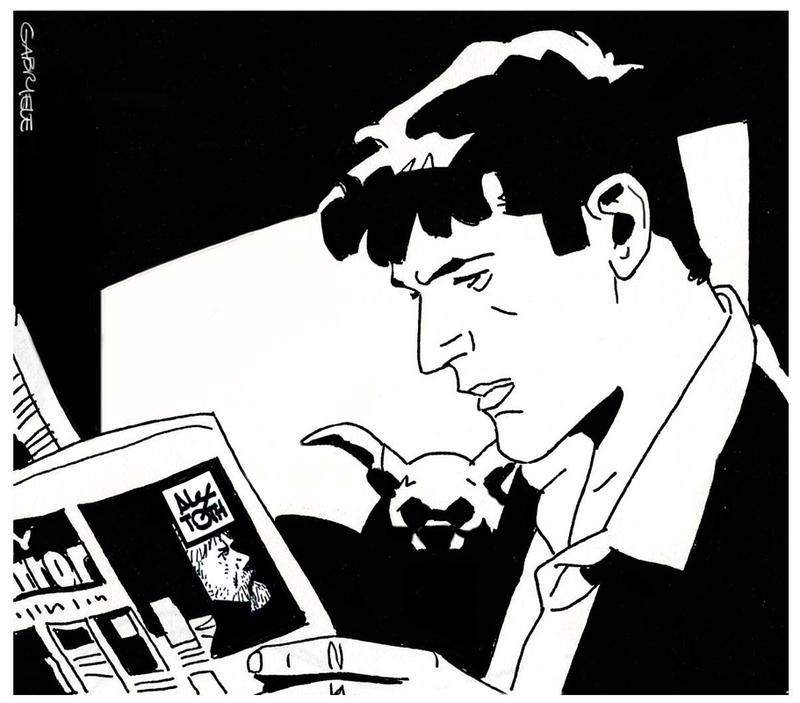 Dean Haspiel and Mark Waid are bringing a fresh approach as well as paying homage to Toth's version of the character.